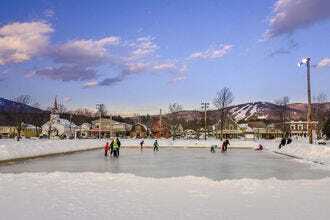 What makes a great ski town? Some would say it's convenient access to the slopes, for others, maybe it's the variety of restaurants, bars, shops and accommodations. 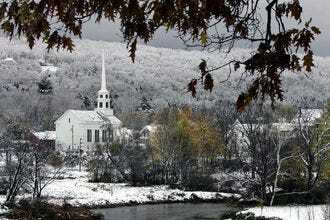 Yet others might gravitate toward a small town vibe or historic atmosphere. 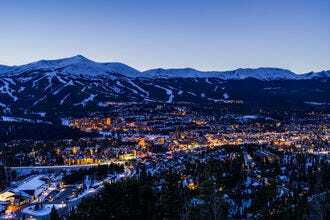 What's your favorite ski town? 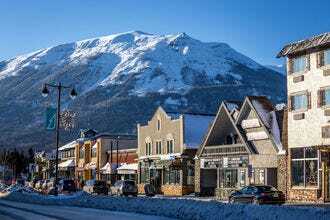 With half the annual visitor count of nearby Banff, Jasper offers a decidedly laidback and unpretentious base for winter adventure. This small community got its start as a railway town. 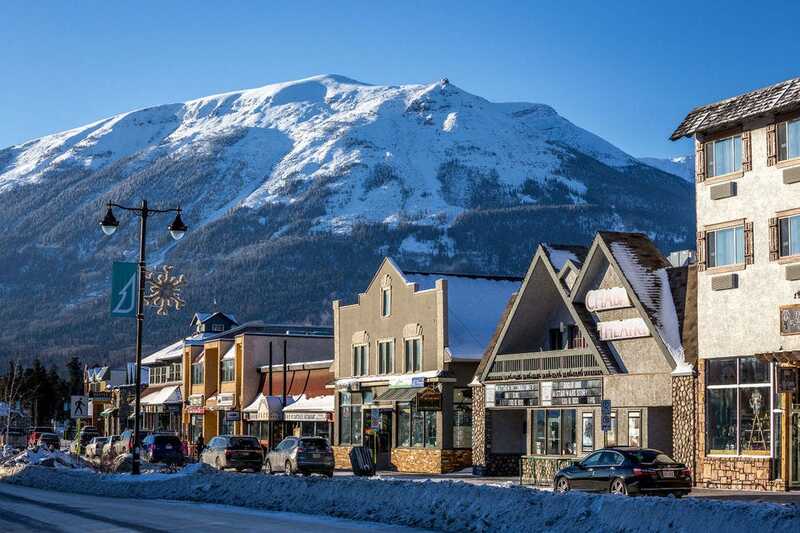 Today, it’s the gateway to Jasper National Park and a place where skiers and snowboarders come to soak in natural hot springs and eat at one of the many local restaurants. 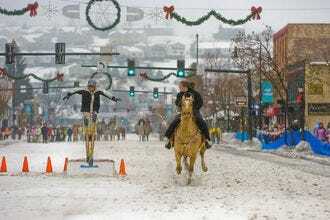 Part working cowboy town, part ski resort, Steamboat Springs is much more down-to-earth than other resorts in the state. It's also one of the few ski resorts in the nation with a hot springs near the base, perfect for relaxing sore muscles after a long day on the slopes. 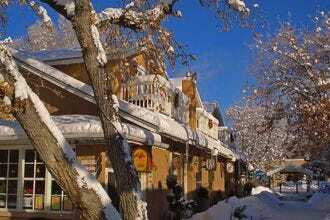 Taos started as a pueblo tucked within the Sangre de Cristo Mountains of Northern New Mexico. 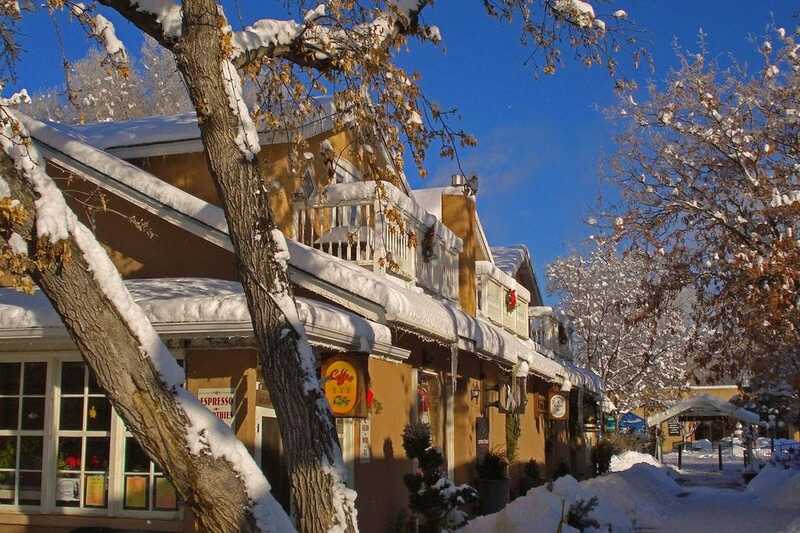 Today, the vibrant ski town encompasses a thriving artists colony, trendy boutiques, posh eco-friendly resorts and plenty of restaurants serving up spicy New Mexico green chile. Situated at the base of the underrated Whitefish Mountain Resort, the town of Whitefish is part rustic Western, part artsy chic. 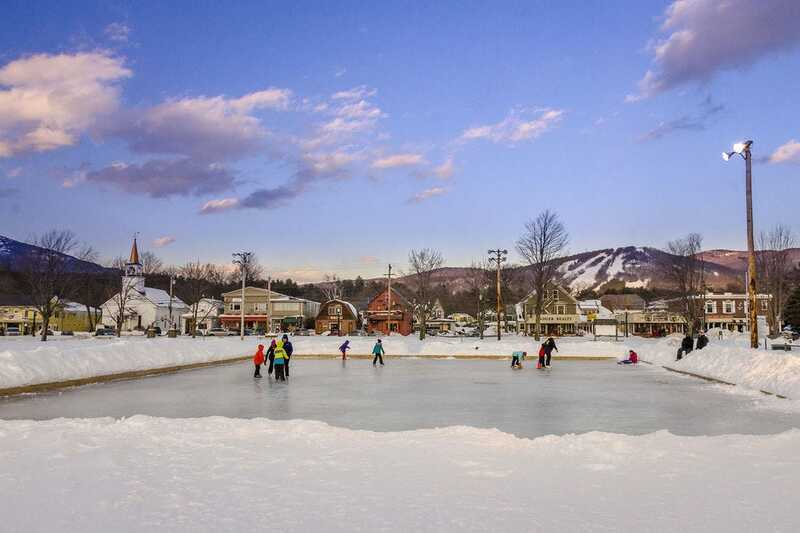 While only about 6,600 people call the town home, it boasts an impressive collection of restaurants, family-run stores and a lively apres scene at places like The Great Northern Bar & Grill and Caseys. Glacier National Park is just a short drive away. 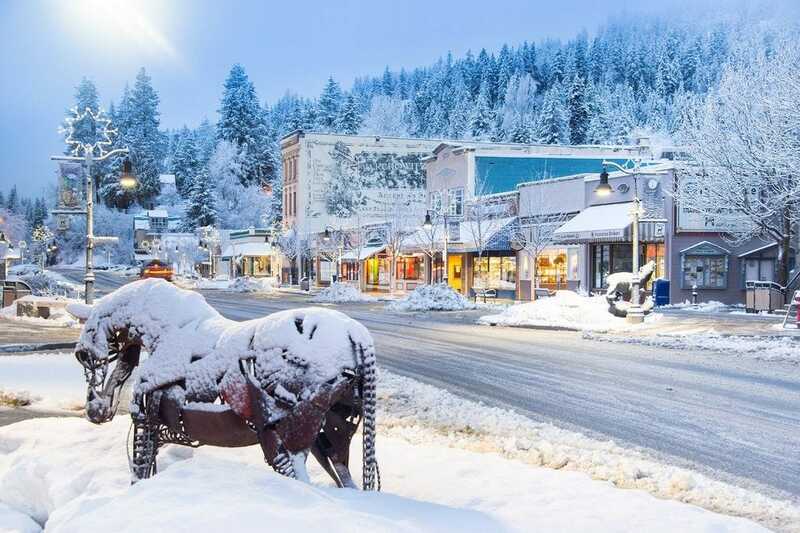 Not only is Rossland a skier's paradise with Red Mountain Resort nearby, it's also one of North America's top spots for mountain biking. 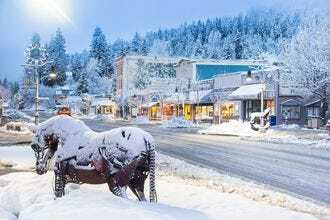 The unpretentious small town–once a gold mining outpost–has plenty for the non-skier as well, including spas, boutique shopping and a variety of restaurants ranging from casual pubs and pizza to sushi and Thai. 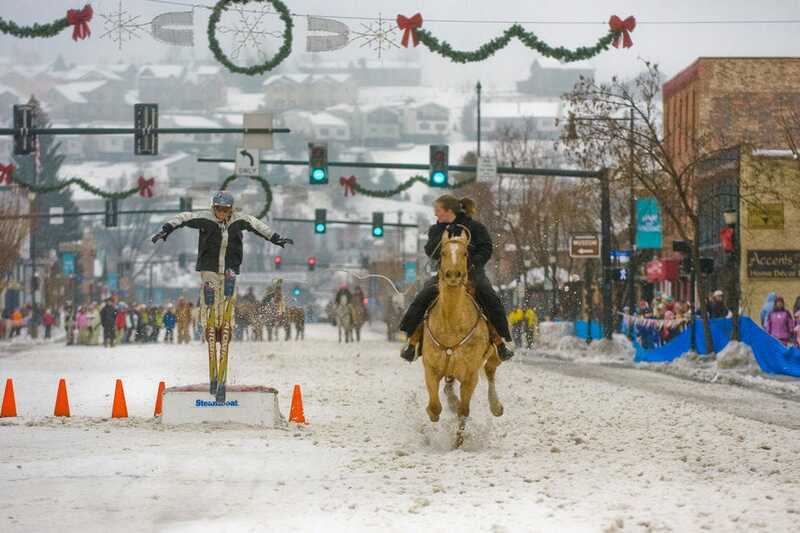 Park City offers the feel of a historic Wild West mining town with the amenities of a world class ski resort. 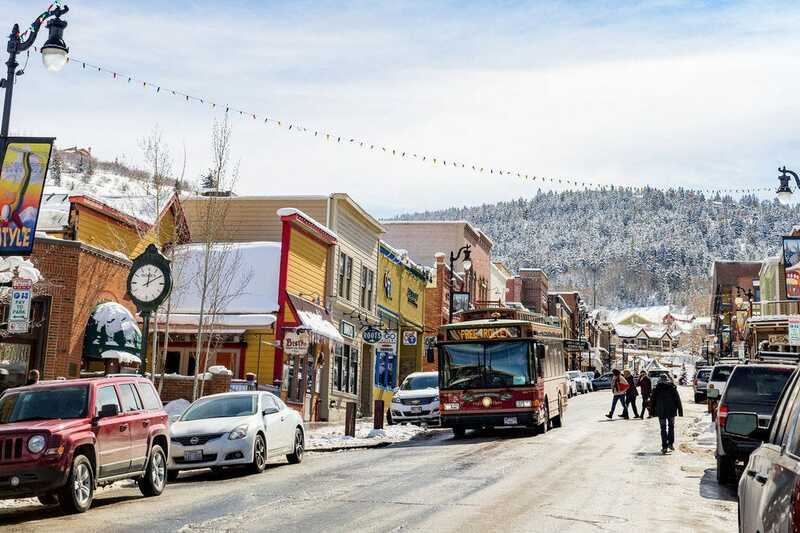 Main Street is lined with top-notch bars and restaurants, while the Sundance Film Festival each January is one of the hottest tickets in town. The U.S. Ski Team trains at Park City Mountain Resort, so you know the skiing is good. Steepled churches and clapboard houses make Stowe a quintessential New England ski town, complete with excellent options for both downhill and Nordic skiers. While there are plenty of fine dining establishments and luxury resorts catering to well-heeled travelers, there's a lively apres scene as well, especially at The Matterhorn. Rest day activities can include a tasting at the famous Ben & Jerry's ice cream factory just down the road in Waterbury. 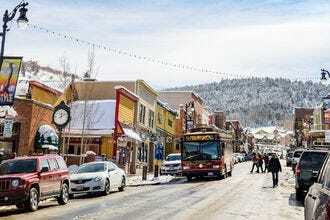 Breckenridge, established during the Colorado gold rush of the 1800s, is home to Colorado's largest historic district and an equally historic après-ski scene; the Gold Pan Saloon is the oldest bar west of the Mississippi. 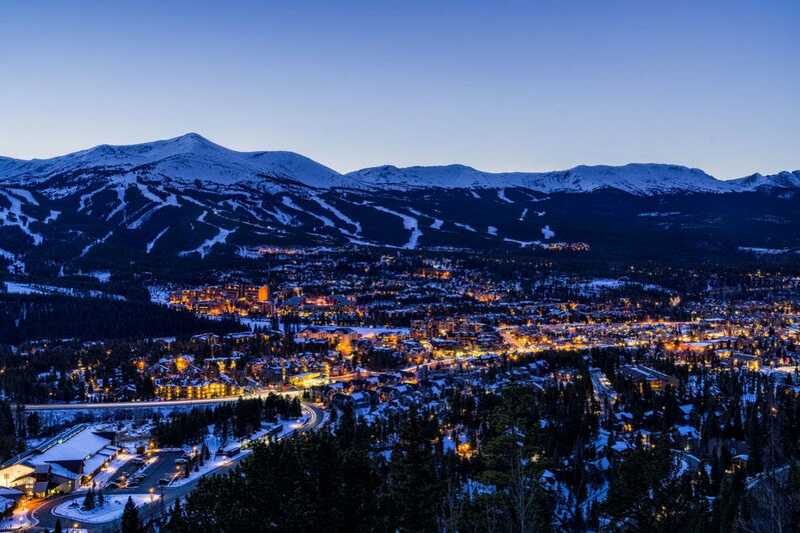 Great restaurants, an art district and free bus service to Keystone and Copper Mountain make Breckenridge a winning and very atmospheric destination. 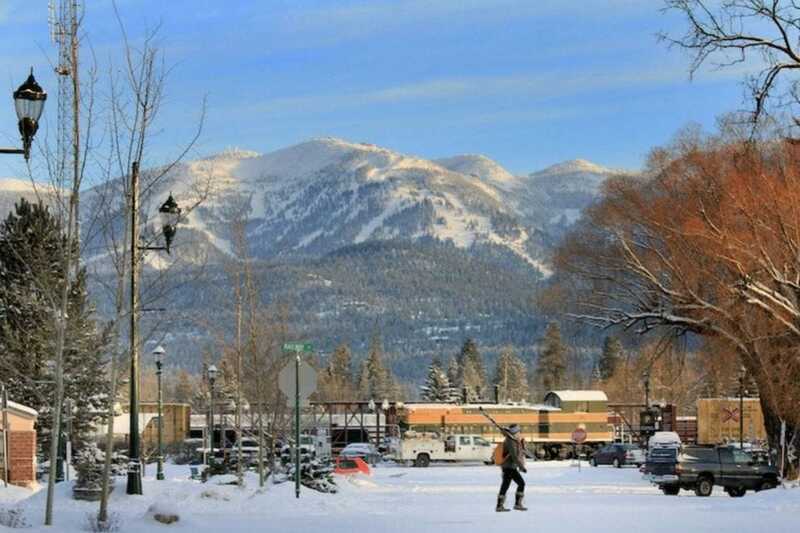 Located not far from Whitewater Ski Resort, the town of Nelson has personality in spades. 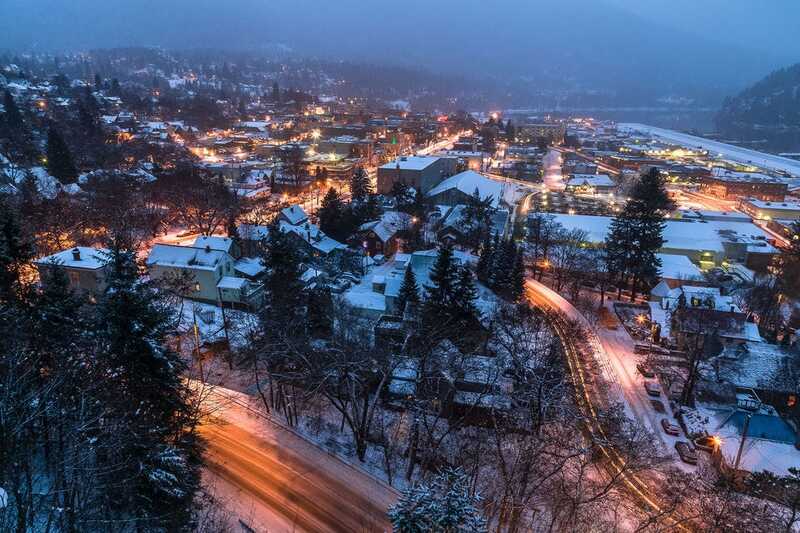 On the shores of Kootenay Lake and surrounded by the Selkirk Mountains, Nelson sees rugged adventurers rub elbows with hippies and bohemians in its excellent cafes, bars and galleries centered around pedestrian-friendly Baker Street. We asked our readers, and for the past four weeks they've been voting for their favorites. A panel of experts partnered with 10Best editors to pick the initial 20 nominees, and the top 10 winners were determined by popular vote. Experts Wendy Clinch (TheSkiDiva.com), Saxon Farnworth (Snowboard Addiction), Elena Hight, Lyndell Keating (Powderhounds) and Kristen Lummis (braveskimom.com) were chosen for their knowledge of the ski and snowboarding industry. Congratulations to all these winning towns. 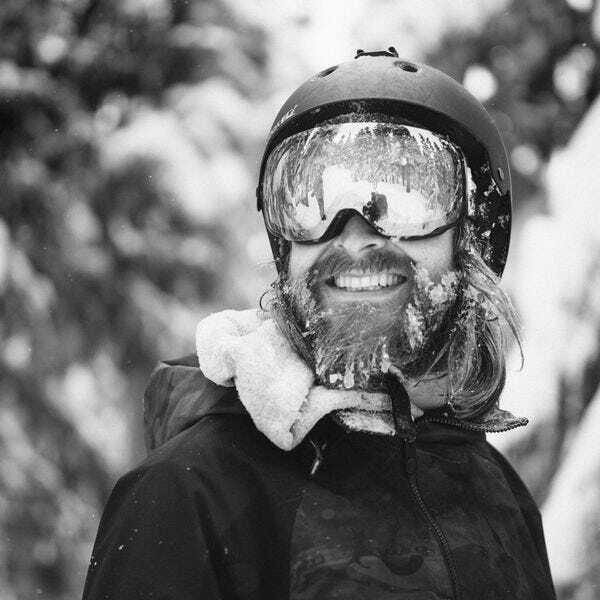 Saxon (@saxonfarnworth) is an Australian born snowboarder, living in Whistler, Canada. He runs two successful online companies; Snowboard Addiction and Ski Addiction. These companies create tutorials and training equipment to help skiers and snowboarders improve their riding. Kauai born and Lake Tahoe raised, Elena Hight is a stand out amongst professional snowboarding’s best. At 13 years old, Elena became the first female to land a 900 in competition. She went on to win 6 X-games medals, attend two Winter Olympics and in 2013, became the first snowboarder, male or female, to land a double backside alley-oop rodeo at the Winter X Games. Always at the forefront of progression, Elena has lead the way throughout her competition career and continues to do so stepping into big mountain riding. 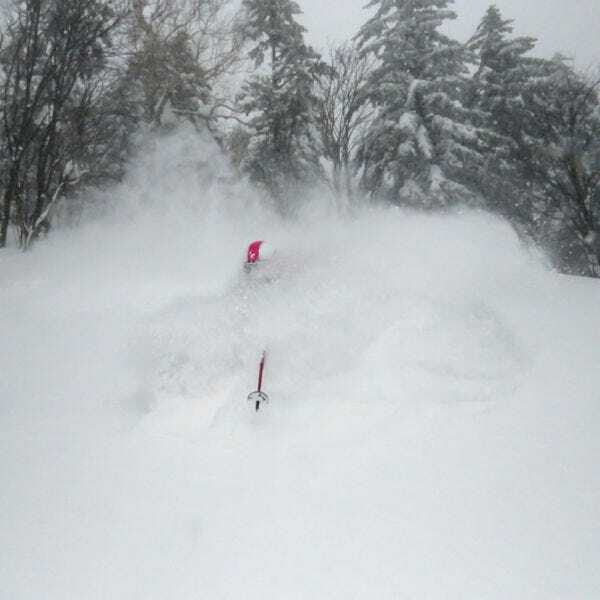 In addition to snowboarding, Elena’s passions lie in outdoor adventure, health and wellness and advocating for environmental protection.